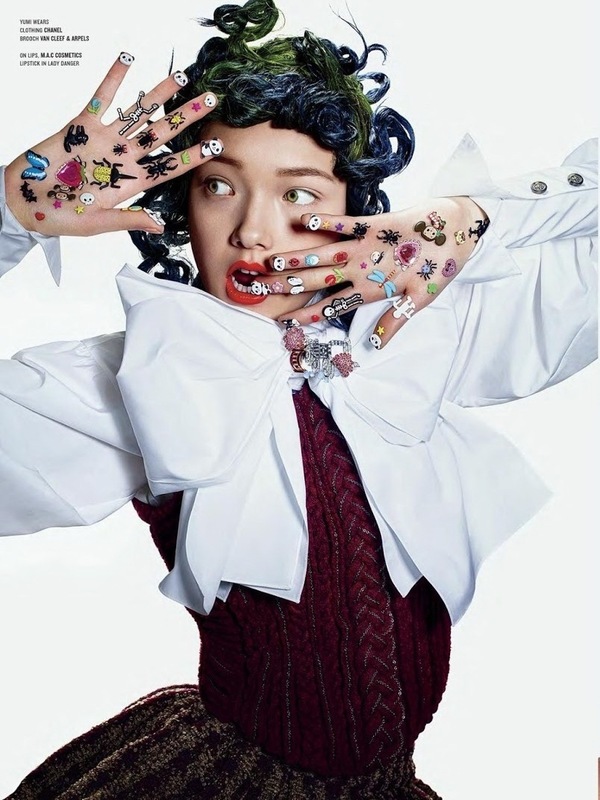 Nail maestro Sophy Robson instagrammed behind the scenes images of the beauty shoot of the new issue of V magazine. 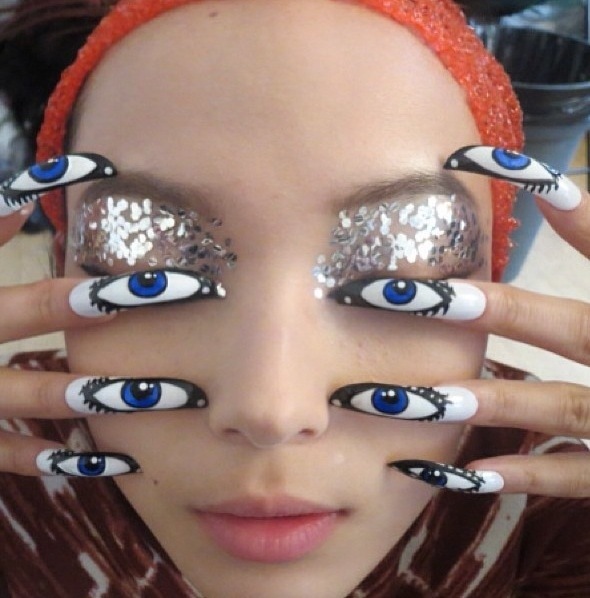 Make up by Peter Philips. Photography by Richard Burbridge. Bling it on!